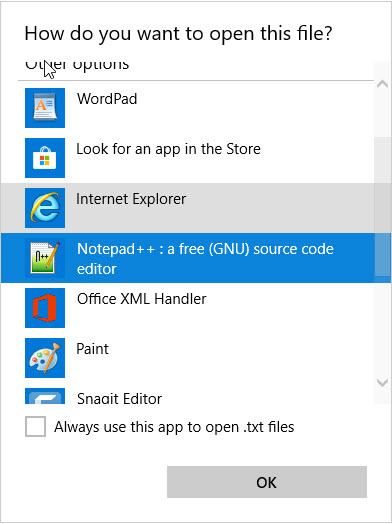 If you have two softwares which help you open the same type of application is a situation where you have to decide which software should work and primary open the file. when we first install the software it basically setup file Association so that those type of files will be open buy that particular software. Most of the times the software that we install first owns the file types it sports. keeping that in mind we may need to install a new software to sport the same file type with advanced features then we have to change the file Association so that the software that we have installed second will handle all of those file types. 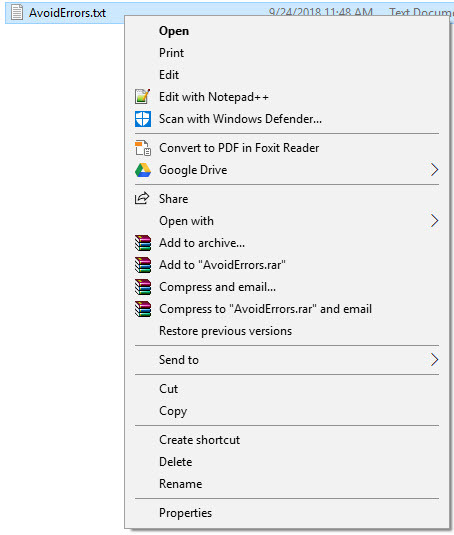 To change the file type association follow the following steps to assign the same file type to another software. Right click on the file for which you want to change the software association. You will see the option, Open With. 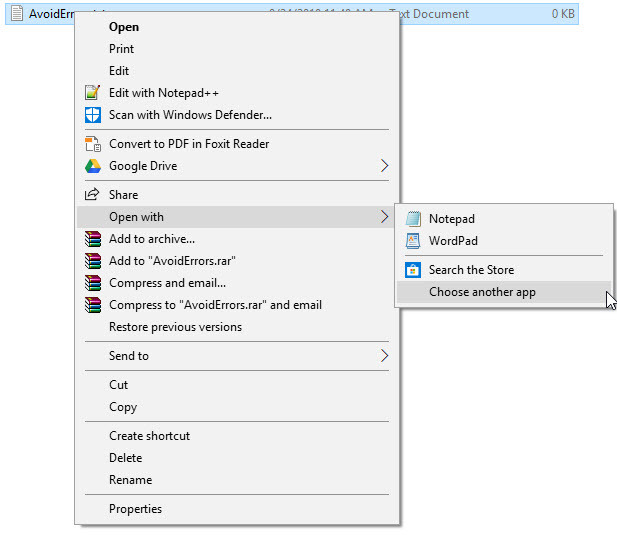 If you are not seeing this option, Right click on the file by holding the Shift key and then you will get Open With option. Under the Open With the option, click on choose another app. 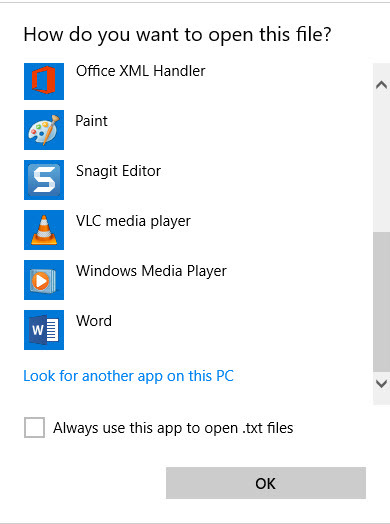 This will show you the box to choose the list of software. If the software you are looking for is not available click on More Apps and then you will have detailed list of applications. If you are still not seeing the application, go to at the end of the list and click on look for another app on this PC. 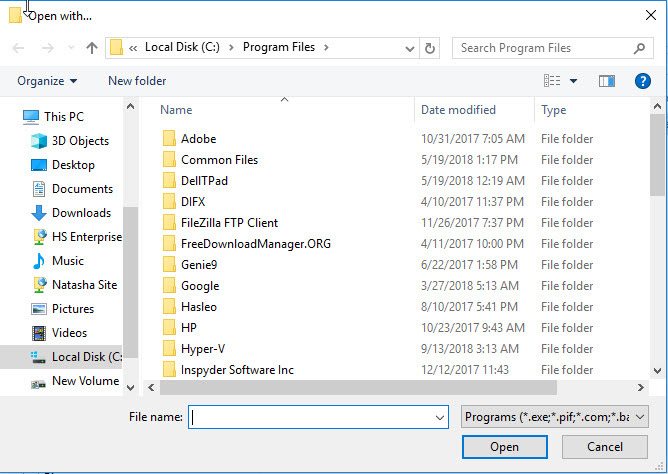 This will open up the Program Files folder so that you can select the software where it is installed. 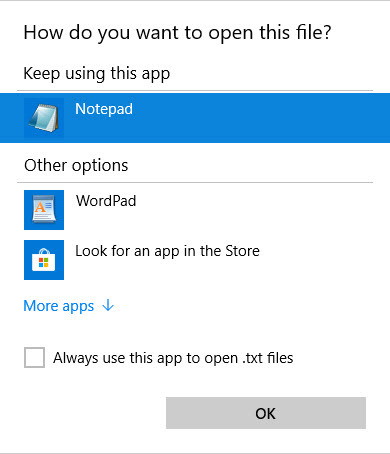 Now select the program when it will be displayed in the list, If you want to permanently assign the file type to the software, click on the check box always use this app to open this type of file and click Ok.
Now your file type has been assigned to new software and now onward that software will open that type of file.